Their debut album, By The Ocean By The Sea, was released in Ireland in October 2014, to great reviews and a top 15 chart position. It was produced by Pat McCarthy (The Waterboys, REM, Madonna, U2). 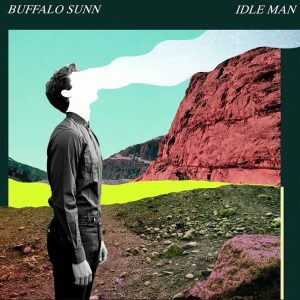 Buffalo Sunn have also gained a reputation for being a formidable live band, noted for their three part vocal harmonies, with inventive guitar and percussion. 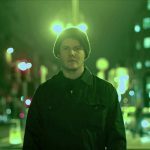 Channeling that West Coast sound ‘like a punked up Crosby Stills and Nash’ (as one Asian journalist noted), they mix melody and guitar attack with superb effect, with songwriter, guitarist and vocalist Daniel Paxton masterminding the band’s sound superbly. They have brought their acclaimed live show to the US, Germany and Singapore, including the internationally renowned festivals SXSW, CMJ, Music Matters, Oxegen, and Electric Picnic. Here’s a recent live performance on Irish TV. They performed “Told You So” for the audience, which you can watch here (http://youtu.be/s-oj_5PtYTw), and “Ocean” for the live taping, which you can see here.